Issues # 105-125 Show all copies or only Very Good Near Mint or better. Return of the Mirror Master! ; Secret of the Sunken Satellite! The Invasion of the Cloud Creatures! ; Kid Flash: The Challenge of the Crimson Crows! 2nd Appearance of Kid Flash. 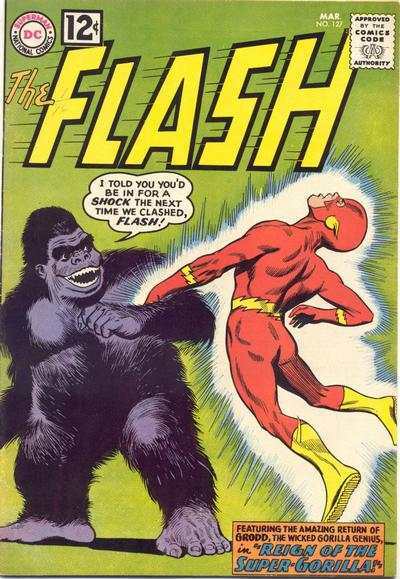 The Day Flash Weighed 1000 Pounds! The Elongated Man's Secret Weapon! The Man Who Stole Central City! Kid Flash: The Race to Thunder Hill! The Doomed Scarecrow! The Midnight Peril! The Trickster Strikes Back! The Secret of the Stolen Blueprint!